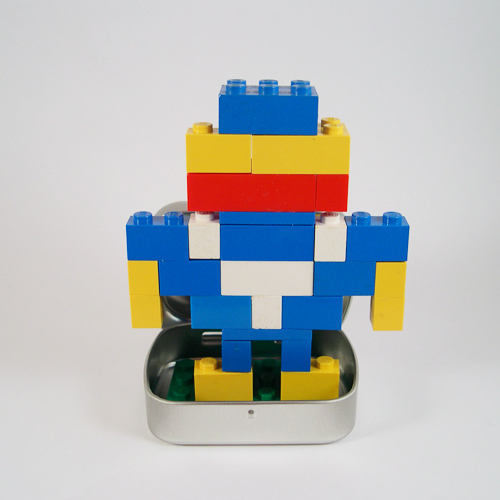 Soon & DIY Products at YOU gNeek - Jewelry you wear, lighter cufflinks, spy gear, gadgets for geeks, jewelry and more! I have over 400 items not listed yet. Here is a sneak peek at some geeky gadgets, spy gear, toys you can wear, and functional jewelry currently in development. Check back soon for updates! I have been "toying" with this project for years and I finally ordered all the right parts and beads in just the right sizes from all over (yeah, there is a lot of trial and error in making stuff). Now nearly all the parts are in! Read more . . Attention Star Trek Fans, I apologize I do not have more science fiction toys you can wear and sci-fi geeky gadgets listed for you. My storage room is filled with Star Trek goodies and projects in the making! Up next, a compass with my version of the map of the Delta Quadrant. I am deciding whether or not to highlight earth! What do you think? Those pesky toy ships went up in price, but we tracked some down and can get started again on making more of these gorgeous clocks! I should be able to have these back up for sale very soon. 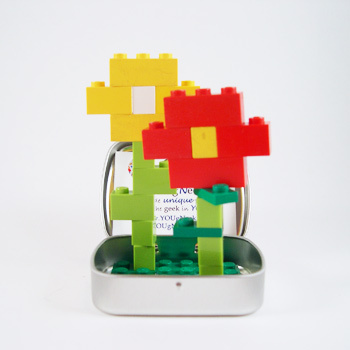 In our newsletter, we put out our first ever DIY recycle your jewelry tins project! Each of Boba Fett's teeny tiny Slave I ships are actually limited toys from 1996. Yes, that's right; 18 years ago! They were only offered at the movie theatres during the trilogy's special edition release. Talk about rare. 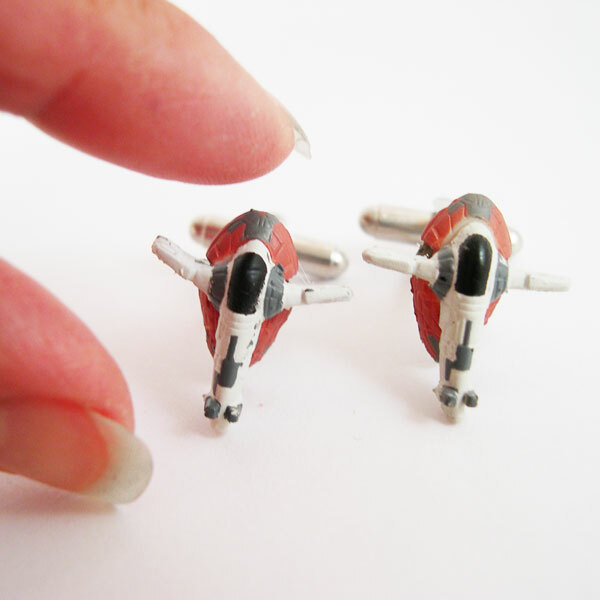 These mini ships are about 3/4" and just right for a cufflink. You won't even find them on eBay! I have a limited supply that I bought from a collector so when I sell out, that's it. Every Star Wars fan should have a set. I love the book I SPY and when I saw these great I SPY toy bags for kids, I had to try to make a Star Trek one. YOU gNeek considered all the Star Trek fans in mind with its creation of Star Fleet Officers, Klingons, Ferengi, pieces of gold pressed Latinum, and phaser figures. All figures are extremely rare micro toys that I collected with all the Star Trek lovers in mind! Definitely something one of a kind for your favorite Star Trek fan. 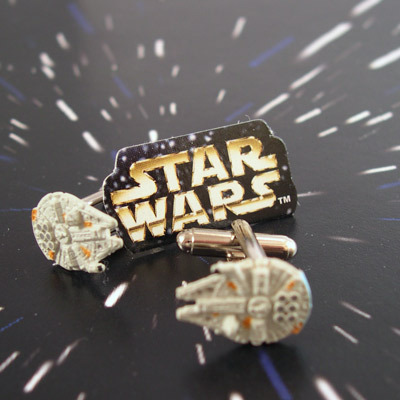 If YOU think the Slave I ship cufflinks were great, wait until you see Han Solo's ships on your sleeve! 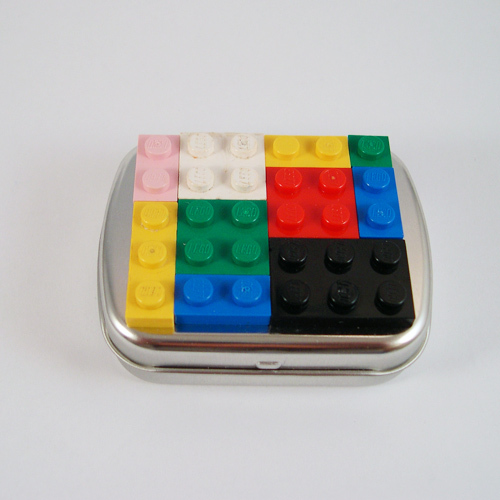 Every geek will be envious of these cool toys you can wear. 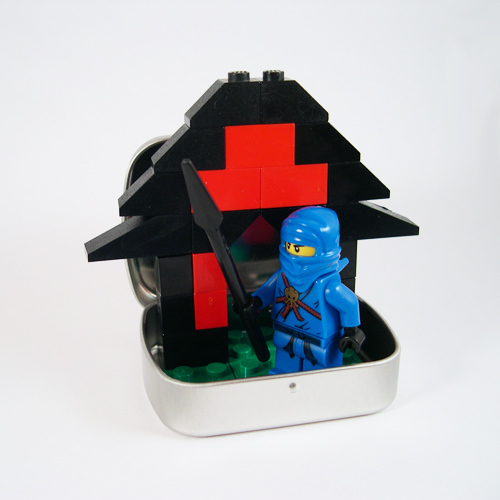 Show off your geeky gadgets! Tiny working door knockers on gold plated earring posts. So small and amazing that only you can hear the knock! Knock knock! Functional jewelry is a cool geeky gadget you can wear. Star Trek I SPY YOU SPY Bags - Where's My Phaser? Teeny tiny Starfleet Officers, aliens, weapons, gold pressed latinum, all in a fabric bag with pellets to find. Fun spin on beloved sources of entertainment. I have so many items that I haven't gotten around to listing yet. This is my new favorite! I can't wait to play with these butterfly knives. I expect to wear them as earrings, but I will make them into necklaces and cufflinks too.